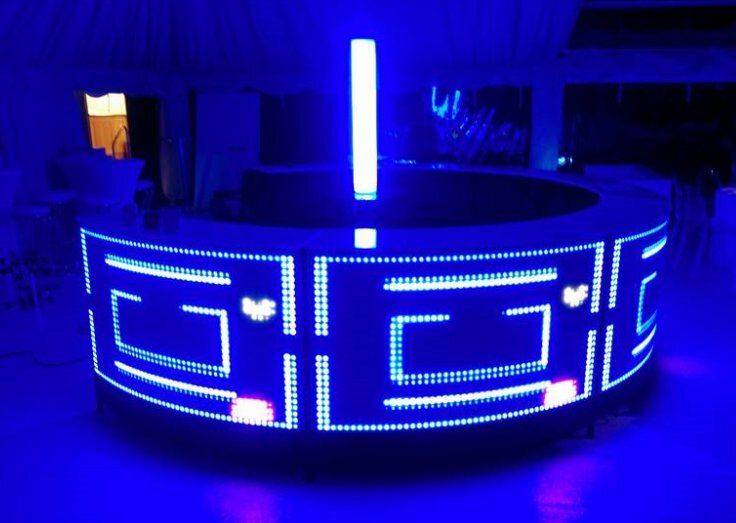 We can provide the vry best in LED and video bar hire. 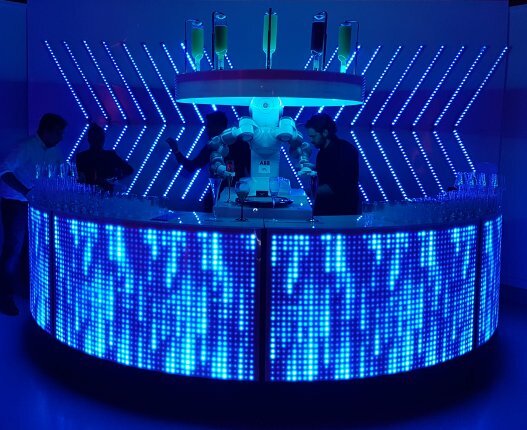 Corporate Events stocks the latest in bar technology with our LED pixel bars. 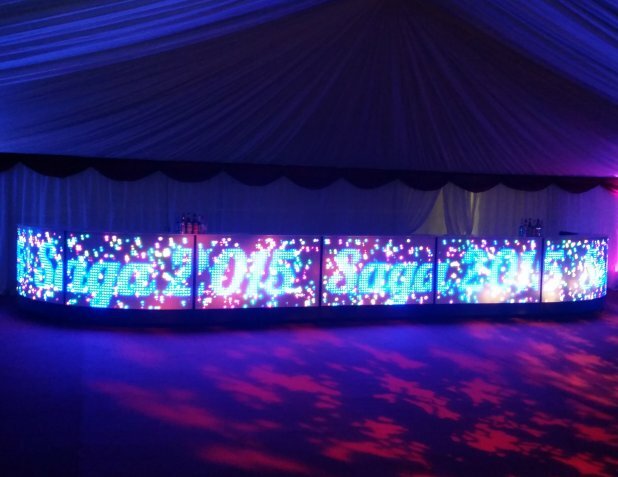 Why just have a plain boring bar in your venue when you can display the name of the birthday Girl/Boy or even congratulations Mr & Mrs scrolling around the bar in bright LED lights. 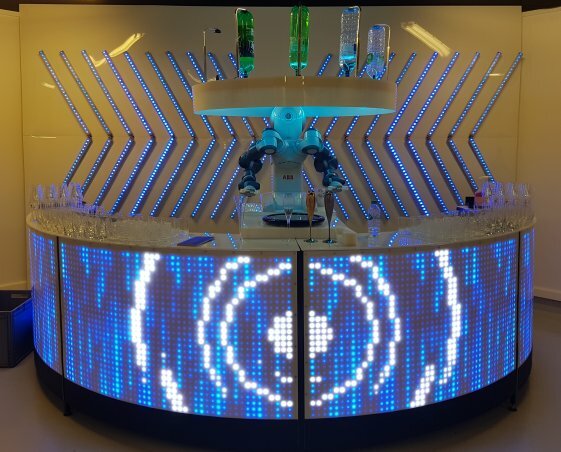 Not only can it display text it also has thousands of graphic options to make your bar stand out and be one to remember. These bars are available in straight, semi-circular or full circular bars. If you want something a little less bright there are also leatherette and clear bars available which come in various size options. Also, if you need a more accurate size with our own in-house manufacturing team we can create bars to your custom design.